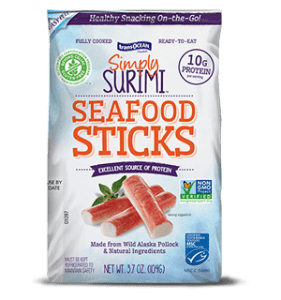 A new and natural, healthy snack product that packs a protein punch with 10g per serving. 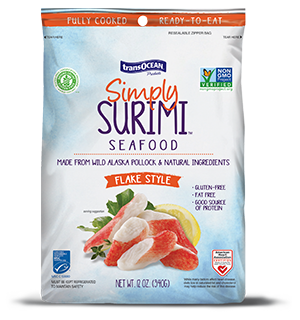 Gluten free and fat free, these Seafood Sticks are made from wild Alaska Pollock and 9 all natural ingredients. 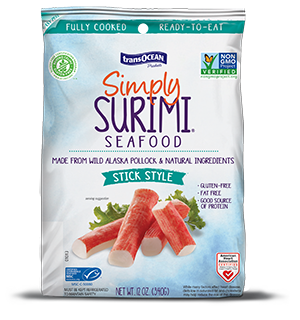 A hearty single serving size, Simply Surimi Sticks will keep you going strong all day long. Enjoy with cocktail sauce, or your favorite dressing or dipping sauce.